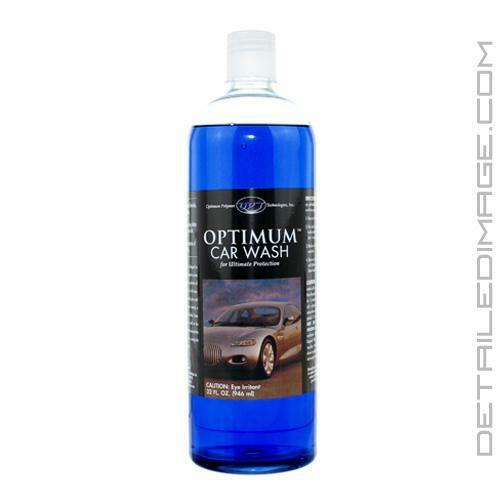 Optimum Car Wash is a paint safe automotive shampoo that gives you a generous lather of suds with every wash. It will not strip off any wax or sealant but it will remove the dust, dirt, brake dust, bug smear and more from your paint. The sudsy lather breaks down road grime and helps you safely remove contaminants from your vehicle's exterior. This ultra concentrated shampoo is an extremely good value as well. One ounce is more than enough to create a generous later for an entire wash. Fill a bucket halfway with just water then add just one ounce of the Optimum Car Wash and add more water and you instantly notice the thick and rich suds piling up. While washing you'll also notice that the suds make the surface very slick which makes removing the contaminants much safer as well. It also smells great which makes it even more fun to use. 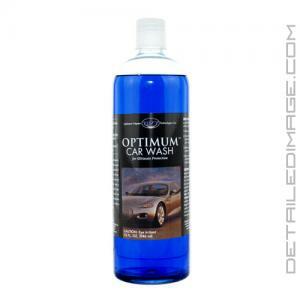 Try the pH balanced and highly effective Optimum Car Wash today and you'll absolutely love the results! Highly concentrated formula, use 1 oz per gallon. Creates a rich foaming lather that traps grime and dirt. Will maximize protection of Optimum Car Wax. 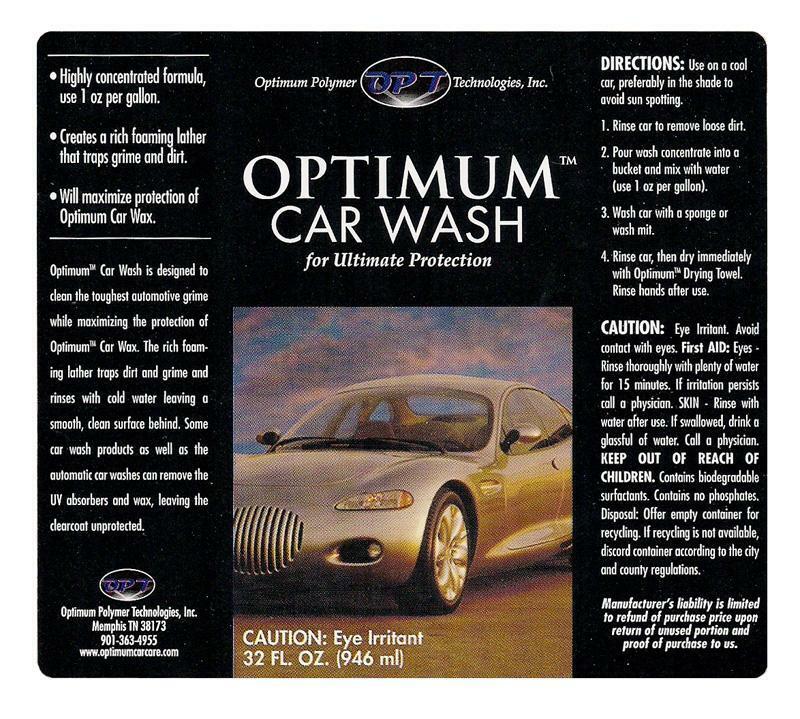 Optimum Car Wash is designed to clean the toughest automotive grime while maximizing the protection of Optimum Car Wax. The rich foaming lather traps dirt and grime and rinses with cold water leaving a smooth, clean surface behind. Some car wash products as well as the automatic car washes can remove the UV absorbers and wax, leaving the clearcoat unprotected. DIRECTIONS: Use on a cool car, preferably in the shade to avoid sun spotting. Pour wash concentrate into a bucket and mix with water (use 1 oz per gallon). Wash car with a sponge or wash mitt. Rinse car, then dry immediately with Optimum Drying Towel. Rinse hands after use. I love this soap! Safe on all exterior pieces including glass too. Love the added lubricity and cleaning power. Good stuff, 1oz is enough to wash my car very pleasent with this product, smells good, rinses clean and easy without any residues behind. It smells like blueberry markers!